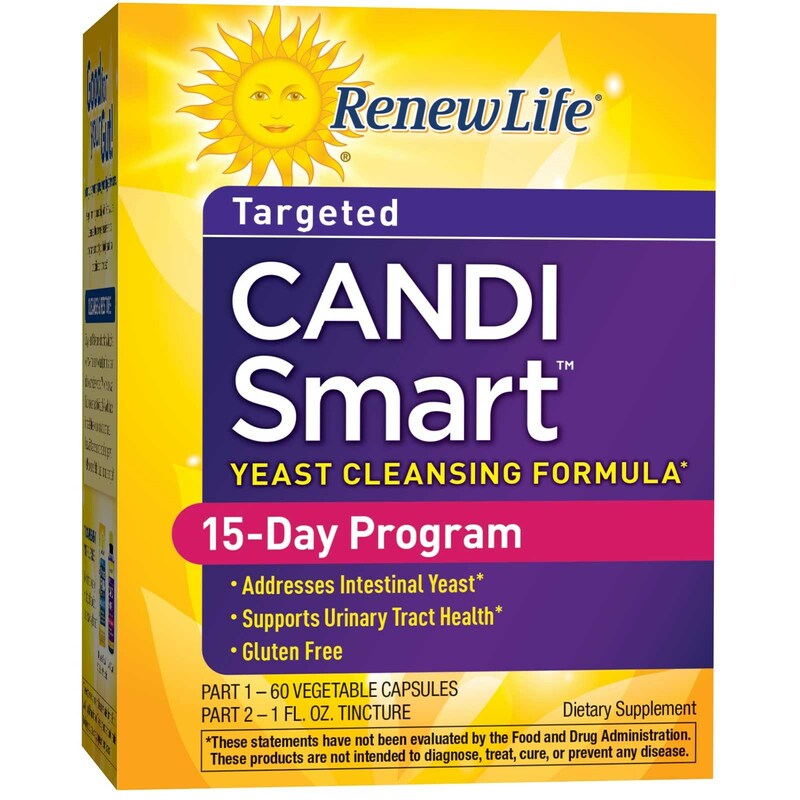 CandiSmart is targeted, two-part cleansing program made with specially selected herbs and natural ingredients that focus on intestinal yeast. Did you know that we come into contact with toxins everyday - from the environment, our food, and even within our own digestive tract? While the body was built to process these toxins, today's world places increased stress on our elimination channels. Renew Life Cleanses help re-establish digestive health so you feel better, lighter, and more energized. For optimal cleansing results, add a probiotic and enzyme supplement. 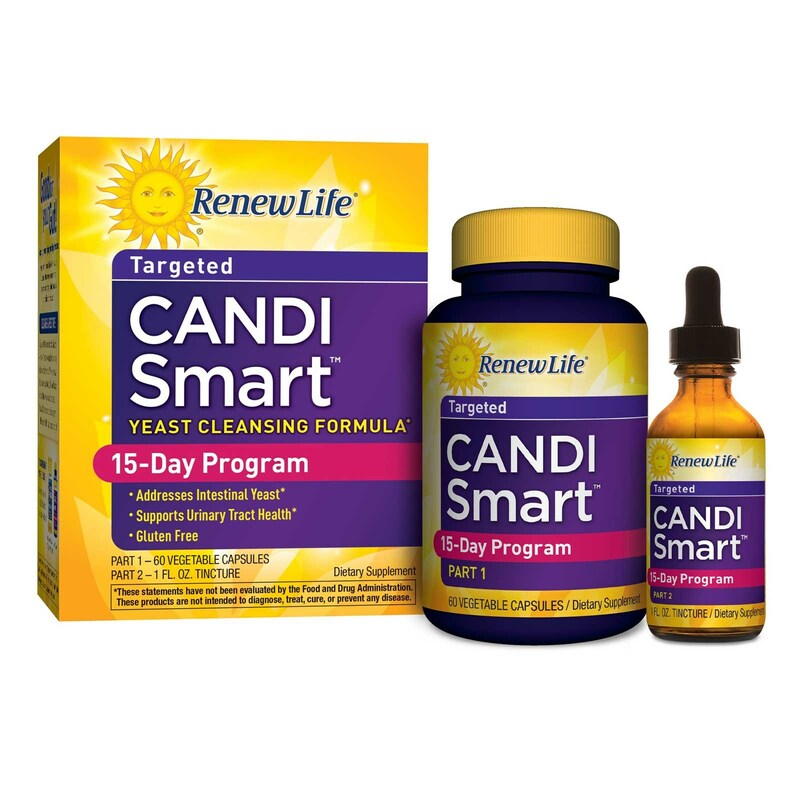 Candi Smart 1: For the first 3 days, take 1 capsule each day in the morning and 1 capsule in the evening. After 3 days, take 2 capsules each day in the morning and 2 capsules in the evening. Take with CandiSmart Part 2. Best if taken on an empty stomach. Candi Smart 2: For the first 3 days, take 10 drops in the morning and 10 drops in the evening. After 3 days, take 20 drops each day in the morning and 20 drops in the evening. Drops may be added to a small amount of purified water. Take with CandiSmart Part 1. Best if taken on an empty stomach. 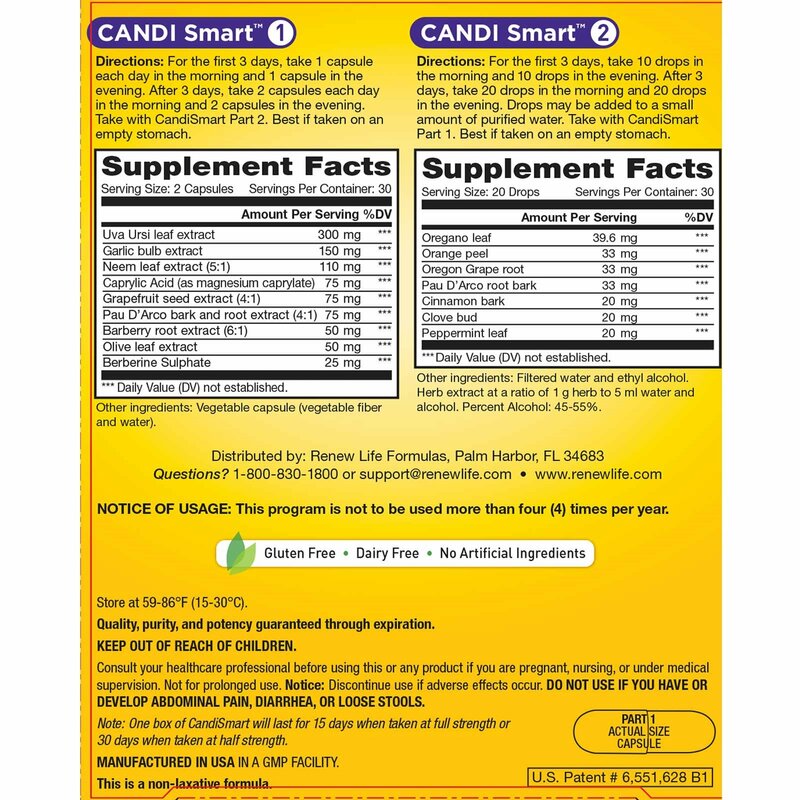 Note: One box of CandiSmart will last for 15 days when taken at full strength or 30 days when taken at half strength. Candi Smart 1: Vegetable capsule (vegetable fiber and water). Consult your healthcare professional before using this or any product if you are pregnant, nursing, or under medical supervision. Not for prolonged use. Notice: Discontinue use if adverse effects occur. Do not use if you have or develop abdominal pain, diarrhea, or loose stools.